"Happiness is Mountain Biking in Moab"
Michael, our Mountain Biking Guide, was awesome. He was a great guide on the trail and off. He gave us local history lessons and told us where some good places to eat were in town. 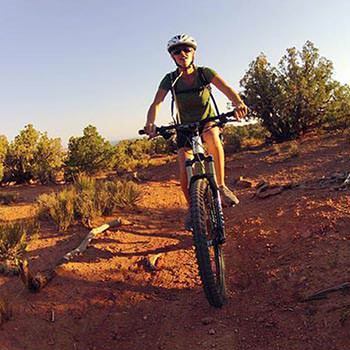 We are looking forward to coming back to Moab and riding with you again soon.